Unique gel formula specifically designed to target bumpy, uneven skin on the stubborn hips, thighs and buttocks. Upon application, skin feels moisturized and velvety-smooth. After 4 weeks, skin appears visibly smoother. Combines 5% Pure Caffeine with plant-based Lipocidine™ to improve micro-circulation and refine the appearance of orange peel skin. Salicylic Acid + LHA gently exfoliate and increase the diffusion of active ingredients. 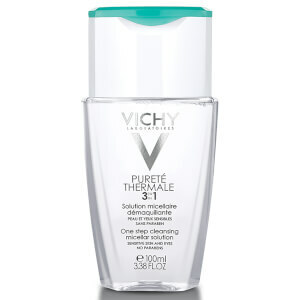 With Vichy Thermal Spa Water. Paraben-free. Allergy-tested. Suitable for sensitive skin. 87% of women saw softer skin. 85% of women saw smoother skin texture on the thighs. 79% of women saw smoother skin texture on the buttocks. Apply twice daily on hips, thighs, and/or buttocks. 1. Take a generous amount of the cream. 2. Quickly spread the cream from the knee to the hips and over the buttocks using both hands. 3. Continue with slow, big kneading movements. Alternating between the two hands, grab skin while simultaneously moving fingers and rolling across the target zone. Do not apply on face. Wash hands after use.